As 2018 draws to a close, powerful tropical cyclones continue to make headlines. In August, tropical cyclone Lane wrought huge damage in the US; it was quickly followed by Hurricane Florence. Most tropical cyclones – the word is used interchangeably with "hurricanes" – of this kind originate in the North Atlantic Ocean, where they're fuelled by the warm Gulf Stream. The South Indian Ocean has been relatively well protected, meaning that tropical cyclones are rarer in southern Africa. Those that do hit the region tend to be quite low in intensity on the Saffir Simpson scale. This scale is used to rank tropical cyclones on the basis of a storm's wind speed and pressure: low intensity storms rank as a "1" on the scale, while "5" represents the most intense and damaging tropical cyclones. Category 1 storms are smaller in diameter (50-100km) and have a minimum wind speed of 119km/h, while category 5 storms have wind speeds of 252km/h or more and can span up to 500km in diameter. There's ongoing debate about whether a category "6" should be added to the scale. As my new research shows, the trend in the South Indian Ocean is shifting. Category 5 tropical cyclones didn't exist in this ocean before 1994. They were recorded for the North Atlantic, North Pacific and South Pacific Oceans throughout most of the 20th century. But since 1994, category 5 storms in the South Indian Ocean have become more frequent. Based on the progressive trend over the past three decades, their frequency is likely to keep increasing. This is happening because sea surface temperatures are rising. Tropical cyclones require a minimum sea surface temperature of 26°C in to form. These temperatures are being recorded more often and over a larger area of the ocean now than in the past. That's because the air temperatures that heat up the sea surface are rising due to greenhouse gas emissions. Southern African governments must respond proactively to this new threat. I established all this by studying a global historical database of tropical cyclones that's maintained by the National Oceanographic and Atmospheric Administration. The research used databases records from a number of sources. These include ship and harbour records for the 1800s and early 1900s, aeroplane reconnaissance records for the mid-1900s and data derived from satellites from the 1970s onwards. 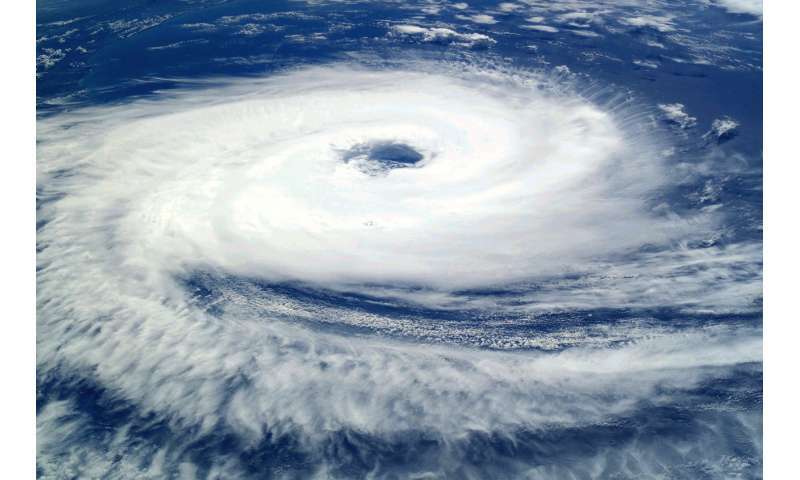 The first recorded category 5 tropical cyclone in the South Indian Ocean captured in this record is for the year 1994 – 70 years after the first category 5 storm in the North Atlantic Ocean. I found that in the last 30 years, there's been a progressive rise in the number of high category tropical storms. For the South Indian Ocean, my study found that sea surface temperature of 29°C are driving the intensification of storms to category 5 severity. And these very warm ocean temperatures are now being recorded over a much larger area, increasing the probability of these high intensity storms. These category 5 storms have also shifted pole-wards in their location of origin and landfall over this 30 year period. This means that storms which previously existed in the equatorial waters of the central South Indian Ocean, far from any landmasses, are now increasingly occurring in the southern tropical region. That poses a threat to the northern half of Madagascar, Mozambique and to the islands of Reunion and Mauritius. The last time a category 5 storm hit southern Africa was in April 2016, when tropical cyclone Fantala moved through the southwest Indian Ocean passing north of Madagascar and making landfall on the Island of Farquhar in the Seychelles. Remarkably, despite being strongest storm ever to have occurred in the South Indian Ocean, a relatively low $4.5 million in damages was recorded and no deaths were registered. This is in stark contrast to the last category 5 storm that made landfall on Madagascar – tropical cyclone Gafilo, in March 2004. The storm – which sustained tropical cyclone intensity wind speeds for six days – left at least 250 dead, the sinking of a ferry and left 300,000 people homeless. Unfortunately, southern Africa struggles to cope with the effects of even category 1 tropical cyclones. This suggests that governments are ill equipped to deal with the more powerful category 5 variety. But there are things that can be done to proactively deal with this new climatic reality. For instance, coastal buildings, roads and bridges need to be built to withstand the high wind speeds, heavy rainfall and possible storm surges to prevent costly damage to infrastructure. Better forecasting systems need to be put in place so that cities and towns can effectively evacuate before a storm makes landfall to prevent loss of human life. Spatial planning needs to consider this heightened threat, and where possible, discourage development along high risk coastlines.